Palestine Real Estate & Palestine TX Homes For Sale | BuyPalestine.com Backyard Updates on the Cheap! 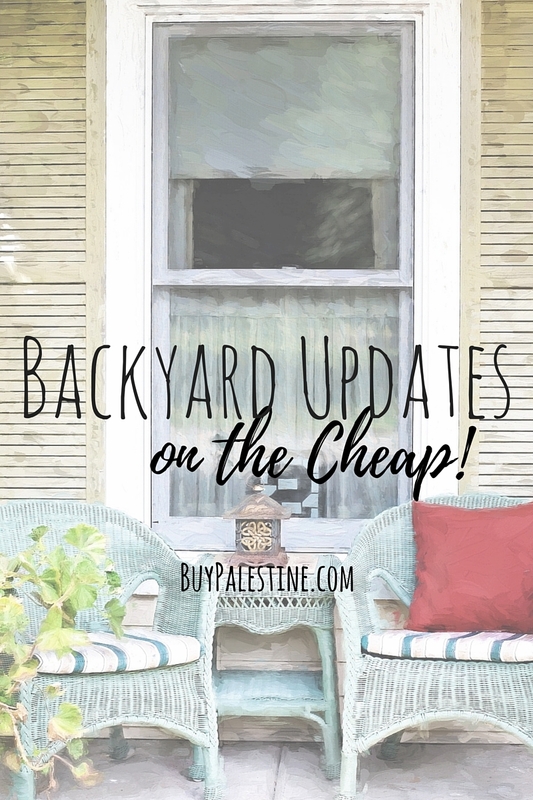 Backyard Updates on the Cheap! YARD CLUTTER – The best part of this tip is that it is FREE! Score! The best mindset to get into when “decluttering” your yard is to pretend you’re having an outdoor party—stage it as if you’re having handfuls of guests. Take inventory of your yard and porch—are there miscellaneous items that don’t belong or items that are broken or need to be put into retirement? Find new storage “homes” for the random wheelbarrows, hoses and clutter (preferably in a garage or shed, out of sight). If it’s time to retire it, trash it or donate it. Finish off with a good sweeping of the hard surface area. The more ruthless you are when decluttering, the higher the wow factor payoff will be in the end. Cost: Free! Your backyard should be an oasis but it doesn’t have to cost a fortune. If you spend a little time to keep it up and throw in a few fun changes for yourself, you’ll be enjoying your backyard to the max all summer long. Small updates can make a big impact and can really make your backyard the one to visit this summer. Lisa E. Priest wishes you a happy and safe Memorial Day and is local REALTOR® with Picket Fence Realty, Inc. You can reach her via phone or text at 903-948-3343 or read more at BuyPalestine.com.